What happens when the United States appoints a new ambassador to a friendly, allied country? There’s a little ceremony and then a press release goes out. Right? 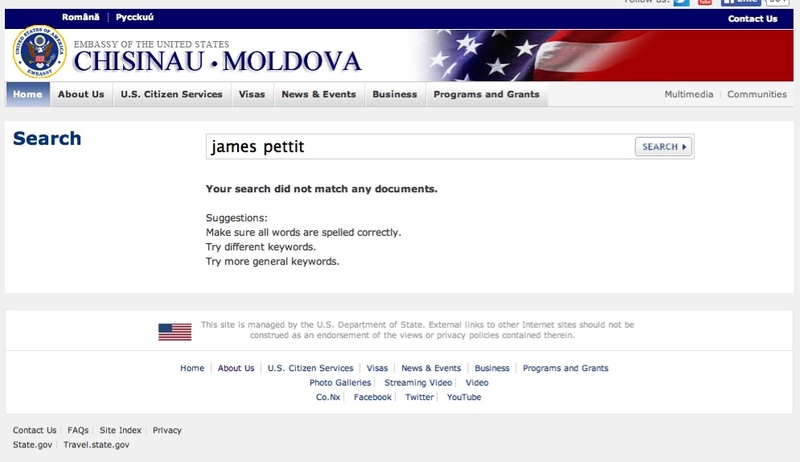 It’s nice that the US Embassy in Moldova’s official channel put out that video greeting from Mr. Pettit. It’s also nice that the local media in Moldova (and Romania) picked up the story as well. Except that something is curiously missing. 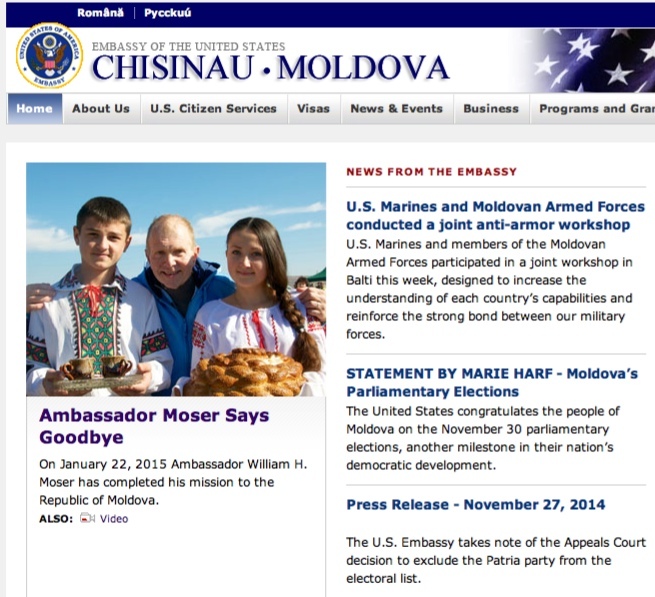 Here you can see Uncle Moser, the outgoing ambassador, giving the youth of Moldova a squeeze, but no sign whatsoever of James Pettit, the new ambassador. Furthermore, there’s been no press release or mention in the English-language media whatsoever about it. Nothing on the State Department (where Pettit has worked for 20+ years), not a blurb in the Washington Post, nothing. 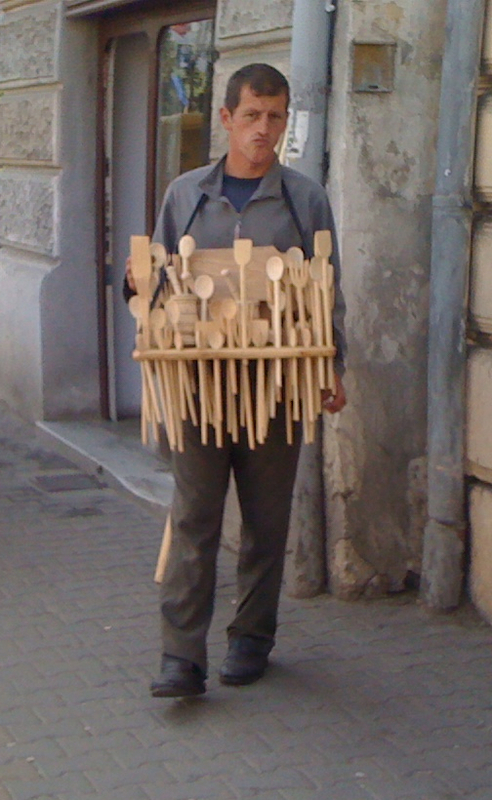 It’s as if the only people who need to know about this are Moldovans. There is a lot of online information about Mr. Pettit’s career, and from watching his video it’s pretty clear that yes he actually speaks Russian*, and that he’s about one million miles away from being a CIA agent. So why is here here? Why did the Obama administration send him? * According to his biographies online, he speaks a LOT of languages, including German and Mandarin Chinese, so now it looks like he’s added Romanian (Moldovan) to the mix – quite an accomplishment! I have no idea. What I do know that is that usually ambassadorships are sinecure positions, given to friends and sponsors of the President (or Vice President), whereas Mr. Pettit is a genuinely professional diplomat. All that we know is that he got sent here right at a critical moment in Moldova’s future as it threads the needle between a healthy, friendly relationship with Russia (and Ukraine) and a closer association with the European Union and the “West” in general. Also, judging from his taped video message in both languages, it seems pretty obvious that the guy loves flags (and popcorn).